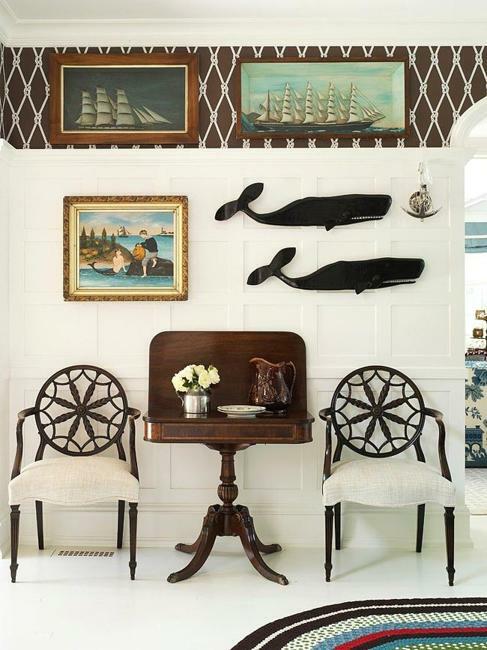 Nautical decor theme is a great inspiration for room decorating. 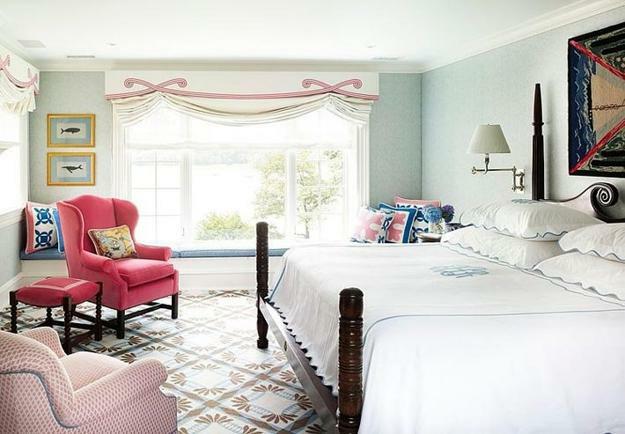 This beautiful home is located in New York and decorated by Anthony Baratta. 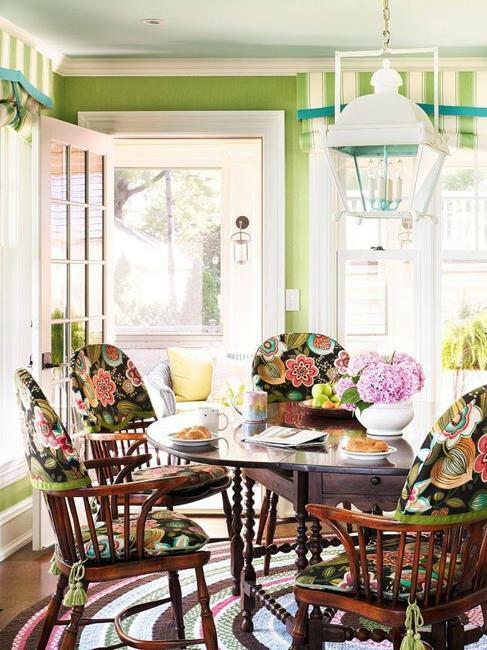 Creative and bright room decorating looks colorful and interesting, functional and stylish. Decor4all presents the gorgeous, universally appealing and modern room decorating ideas. 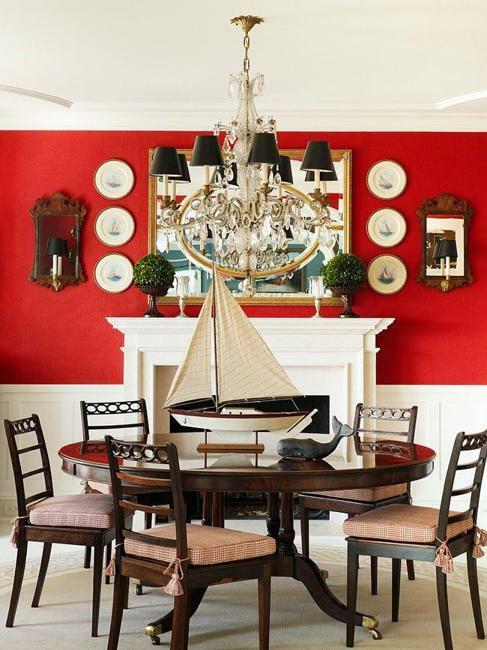 White, blue and red colors create the atmosphere, perfect for the nautical decor theme. 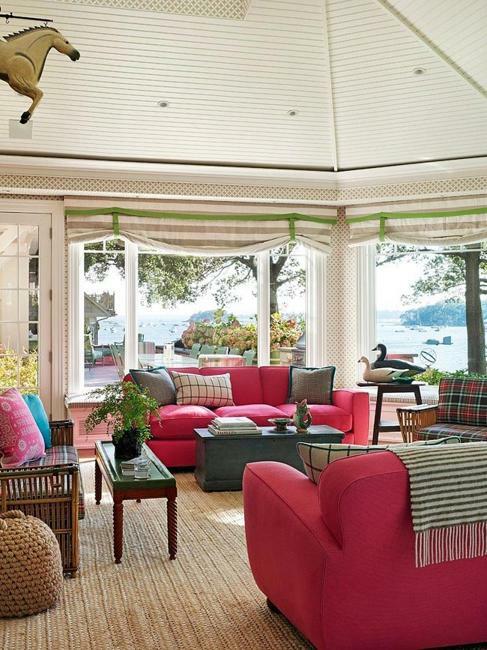 Marine accents and nautical decorations emphasize the room decorating creating wonderful home interiors. 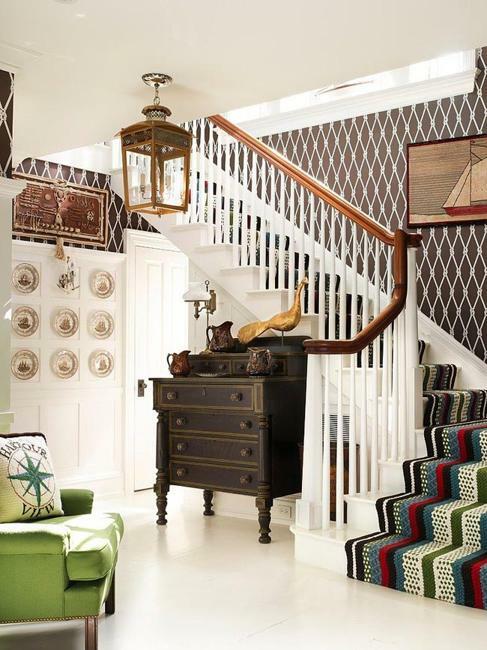 The nautical decor theme continues through the house, uniting rooms into harmonious living spaces. Contrasting room colors make walls and furniture look energetic. Black and white decorating ideas and white and blue color combinations bring romantic and adventurous feel into home decor. Decorative pillows with printed compasses support the nautical decor theme and bring comfort into room decorating. Paintings and other decorative elements that support nautical decor theme are excellent home accessories. 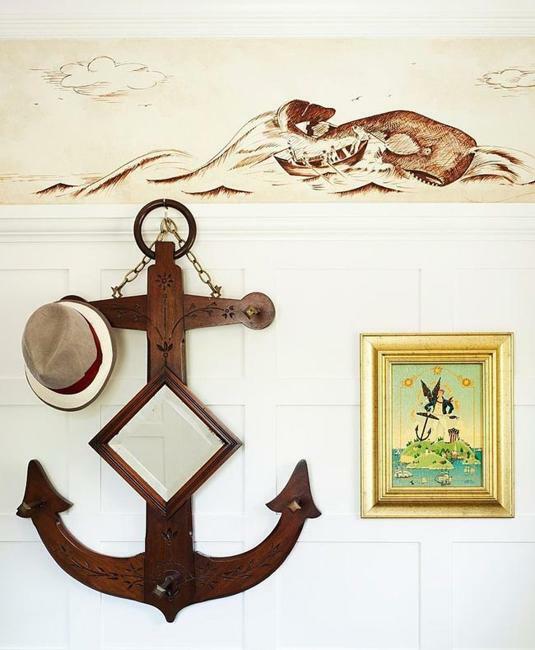 Even wall sconces are made in the shape of anchors, which add meaning and symbolism to room decorating. Upholstery fabrics bring beautiful decoration patterns inspired by ship wheels and enhance the nautical decor theme with attractive natural texture. Bright room colors, striking contrasts and tall ship models just increase the effect celebrating the nautical decor ideas. 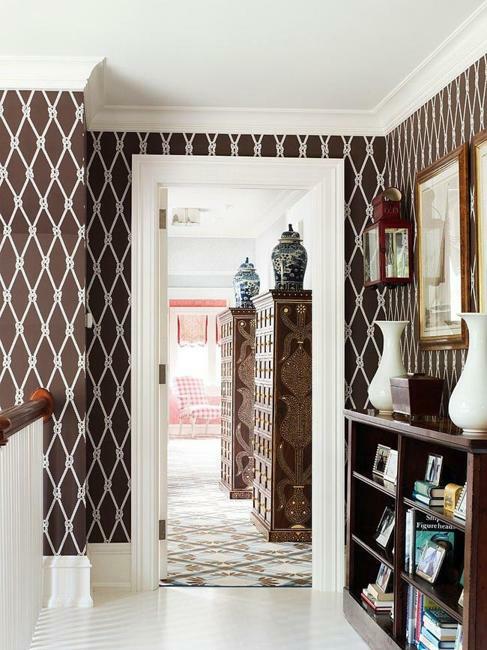 Stylish room decorating looks impressive and beautiful in any home. 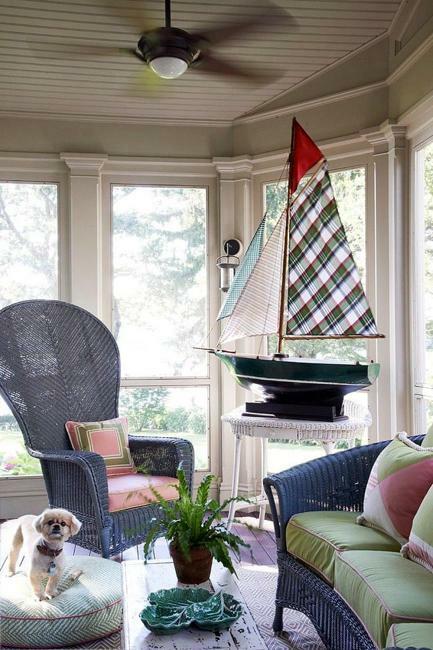 Perfect for coastal houses and cottage decor, nautical decorating bring the atmosphere of coastal villages into modern homes and create relaxing and interesting living spaces. 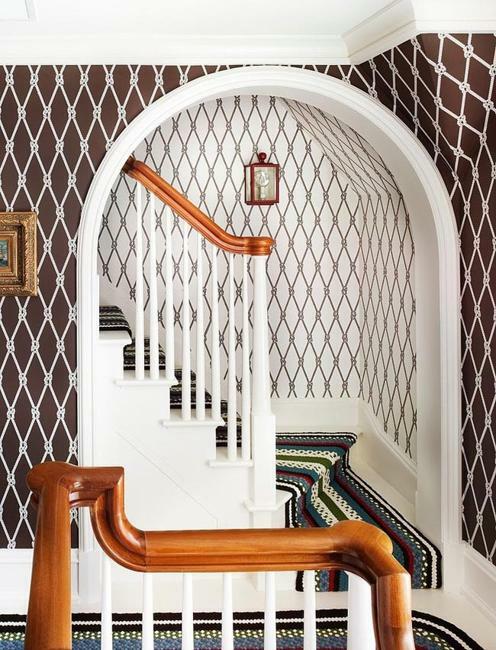 Stripes are great decoration patterns to enrich nautical decor theme. Wood and wicker furniture complement room decorating while bringing coziness and comfort into modern interiors. Spacious bedroom features white decorating and plenty of natural light. An unusual collection of trays creates a nice centerpiece and makes the bedroom decorating look unique and creative. Brought from different parts of the world, they are wonderful home decorations that remind of trips and pleasant experiences.